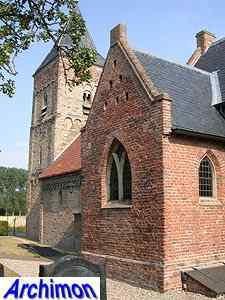 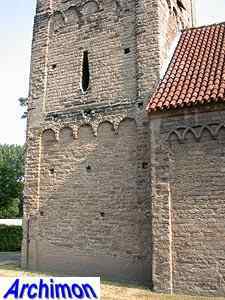 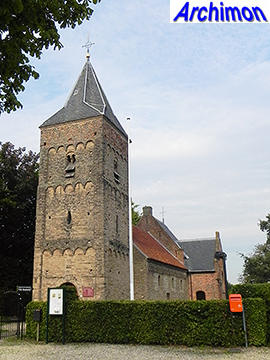 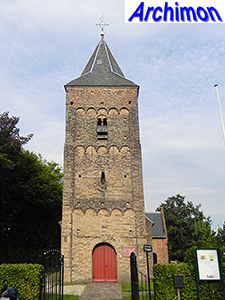 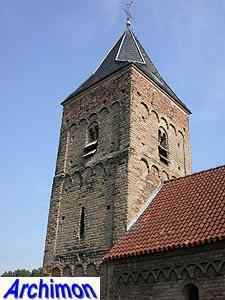 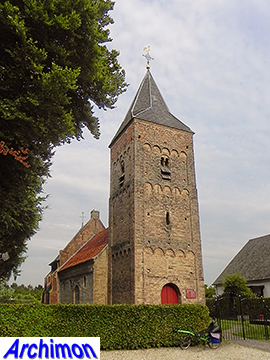 The reformed church of Ressen is an aisless building with a Romanesque tower and nave and a Gothic choir and chapel. 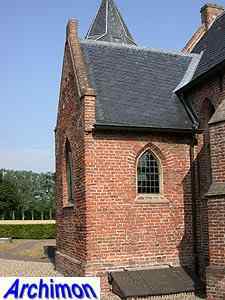 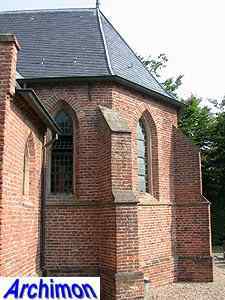 It has gradually replaced a small tuff church, which stood at the location of the current choir. 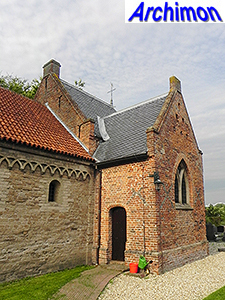 In the early-12th century the nave was added, the old church now became a choir. 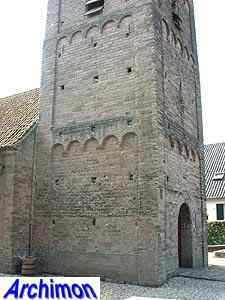 Within a few decades later the tower was built. 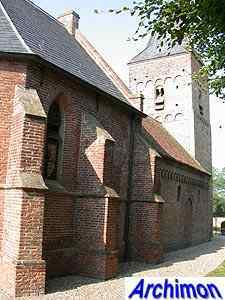 Both nave and choir were built of tuff, except for the upper part of the tower which was built of bricks and probably dates from 1439. 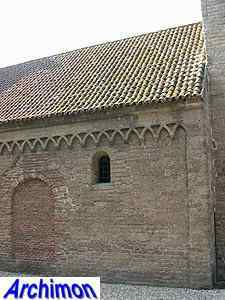 That same year a Gothic choir replaced the first church. 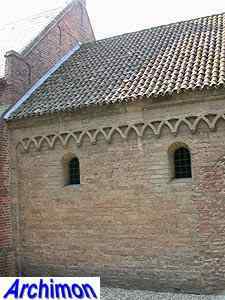 Between 1525 and 1600 the Gothic chapel was built at the south side of the choir. 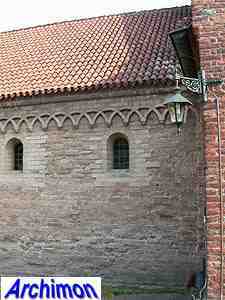 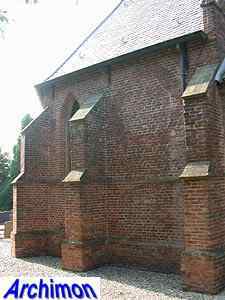 Both Gothic parts were built using bricks. 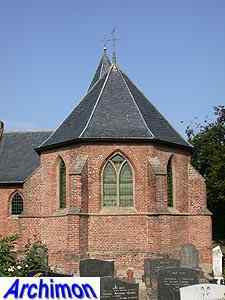 The church was badly damaged in 1944. 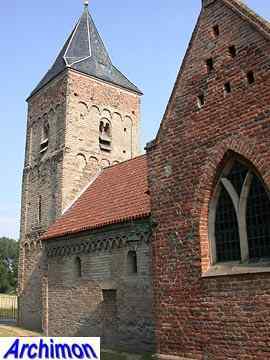 During a restoration in 1948 the church was restored to its original Romanesque nature as much as possible, especially the nave. 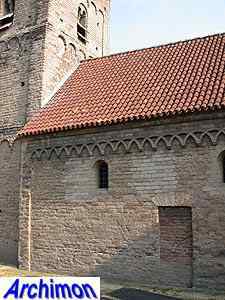 A coat of white plaster was removed, the windows were made smaller and the frieze along the top of the walls was reconstructed.